Sibenik is located in northern Dalmatia, in an indented bay in which flows the Krka River, one of the most beautiful rivers in Croatia. The coast is indented with a total of 242 islands, islets and reefs. 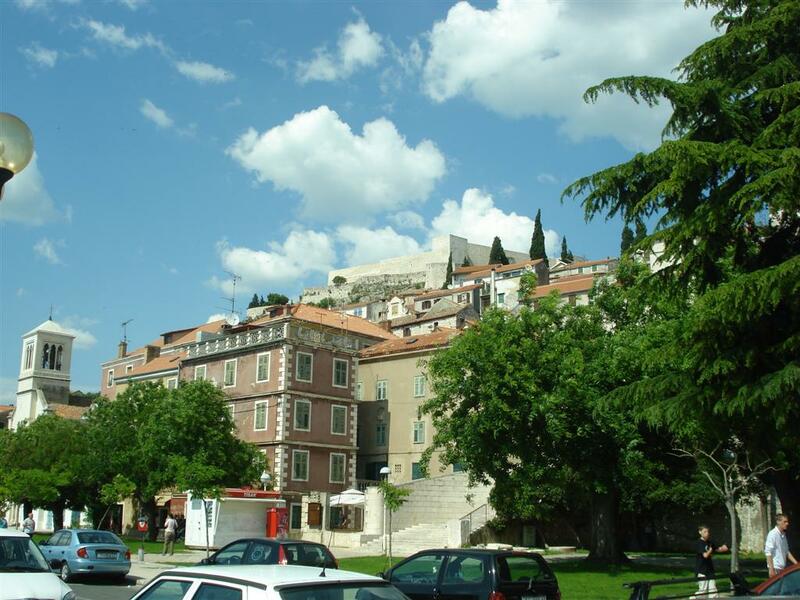 But mostly this area has a low population density, so that Sibenik County has a total of only 10 settlements. The most numerous island group is the Kornati which is known worldwide for its beauty and since 1980 it has been a national park. 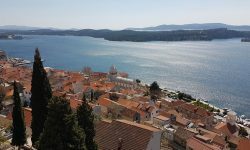 Given the indented coastline and the low population density of Sibenik, it is not a problem to find a quiet and private place in this part of the Adriatic Sea, especially if you are ready to continue to sail a little further. 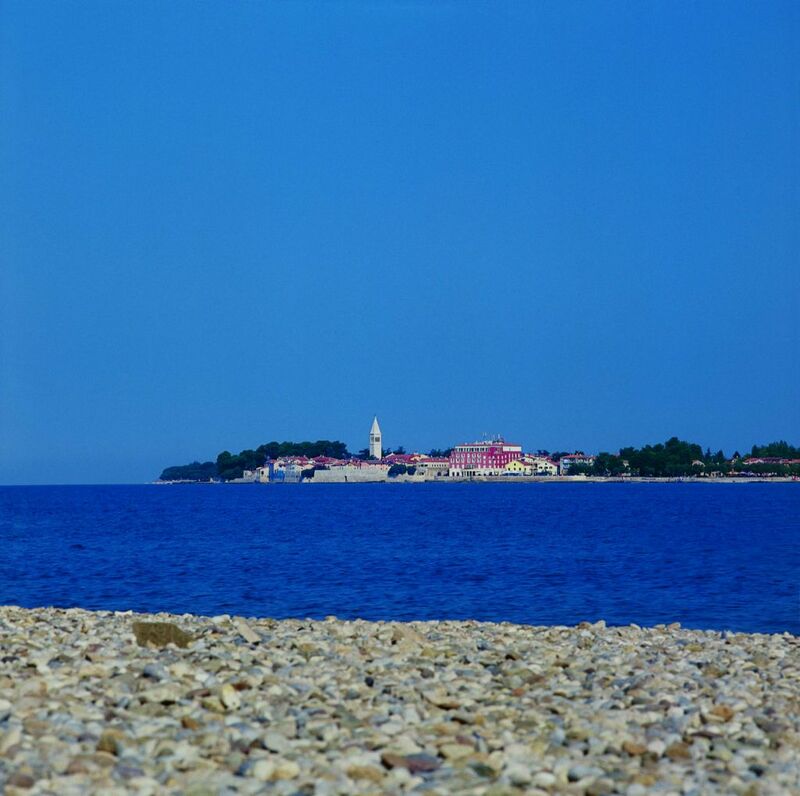 Here we list some of the most famous beaches in Sibenik and its surroundings. Solaris hotel complex is situated 6 kilometers from Sibenik in direction Split and 6 kilometers from the exit of the A1 motorway. Solaris beach resort has been recently renovated and has really everything you need for proper rest and relaxation. Beaches are in total 4 kilometers long and thematically divided into five different parts. The beach is pebbly-sand and very well maintained. On the beach you can rent beach umbrellas and lounge chairs. Beach chairs are wooden, not plastic as you will see on most beaches on the Adriatic, and beach umbrellas are made of wood and reeds. Entrance to the Beach Resort is not charged, but the chairs and umbrellas rental is more expensive than on most other beaches. Nearby there is a parking for which you will pay 50-70 kuna/day. For children and adults who love adventure there is an aquapark for which you also buy daily pass. Immediately below the Aquapark there is the Legend beach bar built like a pirate ship. If you are looking for a little more peaceful place to relax without loud music within the Solaris Beach Resort there is a little authentic Dalmatian eco village. Here you can try a variety of Dalmatian delicacies and local products such as bread, olive oil, wine, octopus … and all to the sounds of Dalmatian songs. The complex Solaris had a large number of bars, restaurants, fast food restaurants … so whether you are looking for coffee, sandwiches, cocktails, some demanding specialties – be sure that you will find it here. Also, for golf lovers there is an impeccably decorated hybrid golf course (par 3, 9 holes) that is available to all those who want to try their hand at this popular game. There is also a recently renovated wellness center with a number of new facilities. 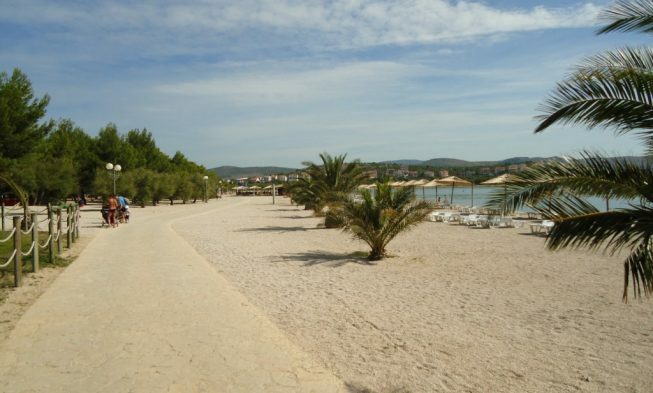 Given the diversity and a wide range of content this is certainly one of the most beautiful beaches on the Adriatic coast, so if you are staying in or near Sibenik, do not forget to visit the Solaris Beach Resort. Zaboric was once a peaceful little village but today it is the largest weekend settlement in this area. It is 10 kilometers from Sibenik to the south, near Brodarica. Zaboric has beautiful natural bays, sandy and pebble beaches. Crystal clear water and dense pine forests that provide natural shade guarantee a wonderful rest and relaxation on the beach.